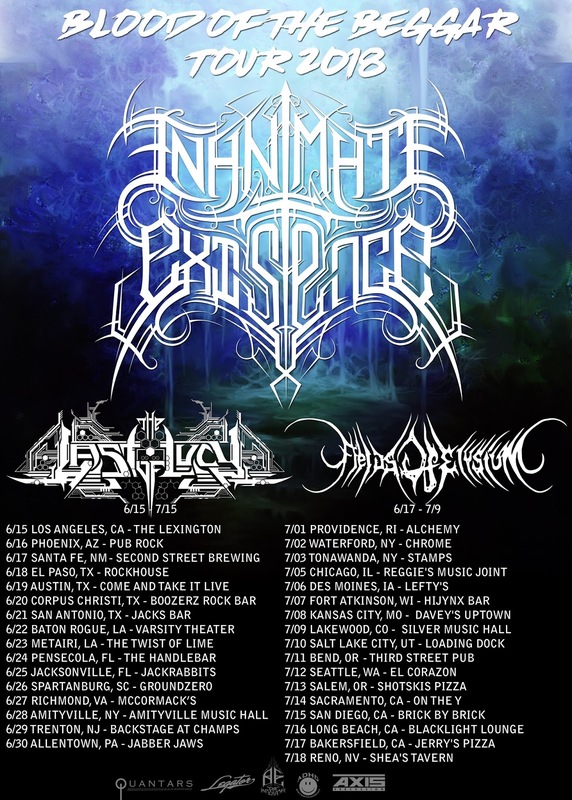 INANIMATE EXISTENCE ANNOUNCES THE "BLOOD OF THE BEGGAR TOUR"
California exporters of top-notch technical death metal act Inanimate Existence are proud to announce their upcoming "Blood Of The Beggar Tour" set for this June and July. Support comes from fellow California-based mathcore fueled death metal maniacs The Last Of Lucy and also from Santa Fe, New Mexico-based progressive focused technical death metal group Fields Of Elysium. 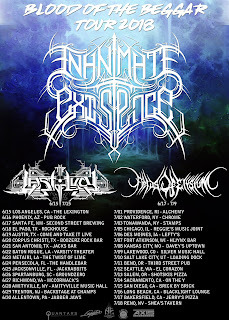 The tour kicks off on June 15th in Los Angeles, California at The Lexington and runs through July 18th with its final date in Reno, Nevada at Shea's Tavern. Be sure to catch this triple header shredder experience at a tour date near you. Check out the dates below.